If you were, like most golf fans, watching the Tiger Woods and Rory McIlroy match during the WGC-Dell Match Play Championship over the weekend, you may have noticed an interesting freeze-frame from the telecast: A side-by-side of Rory McIlroy and Tiger Woods’ clubhead’s respective impact positions. My friend and GOLF.com Dylan Dethier colleague — sweet, innocent Dylan — tweeted-out the “really cool” picture and, in doing so, set off a feisty debate among avid golf fans. The picture set off such a passionate debate because it inevitably led to endless fans rushing to interpret the results. 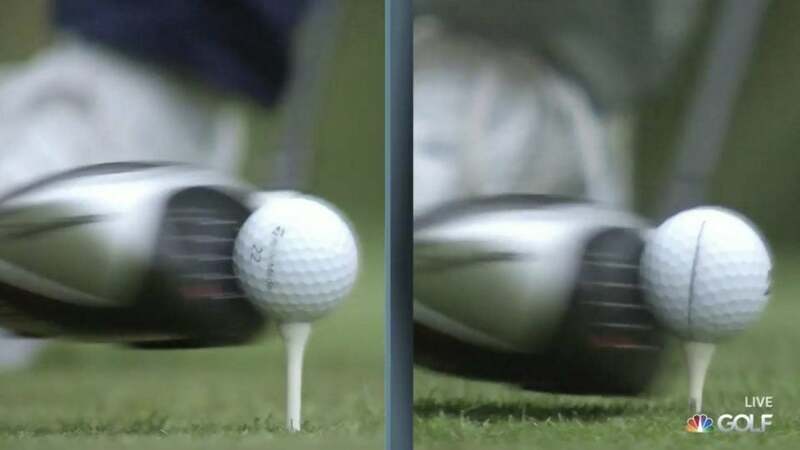 We can tell, looking at this picture, that Rory (on the left) hits the ball lower on the driver face than Tiger’s (right). It also appears that Tiger’s shaft is leaning more toward the target than Rory’s. The conclusion many observers came to is that Tiger Woods hits more down on the ball than Rory McIlroy, which is why Rory is a “World Class Driver of the Golf Ball” and Tiger isn’t. That might be true, but … it might also be false. Why? Because as many teachers were quick to point out, there are many things you can’t tell from a still picture — like, say, Angle of Attack, which was the sticking point of this debate. Photo can't see angle we need 3-D as in Trackman. But the average tour players is -1.5 AA. Hitting up is not always best for high speeds. You can’t see angle of attack in a still picture. Tiger swings up. It was a mishit. This picture has very little to do with why Rory is longer. It’s wonderful insight from Silva, and here’s an example that illustrates it, courtesy of GOLF Top 100 Teacher Andrew Rice. Many would look at the still picture of this golfer, see his hands so far ahead of the ball, and assume he’s hitting down on the ball. But he’s not! On the contrary: He’s actually hitting 11 degrees up on the ball. 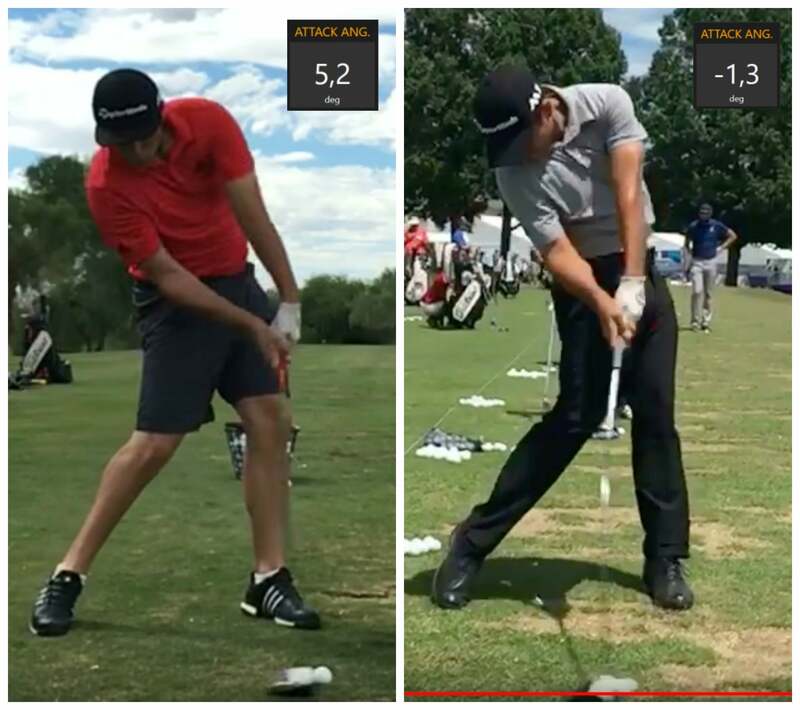 And here are two more examples from the pro ranks: On the left is a picture of Jon Rahm, who was measured on this swing hitting more than five degrees up on the ball despite this still image suggesting otherwise. He’s hitting up on the ball almost six degrees more than the golfer on the right, Xander Schauffle, who was hitting down more than a degree on this swing. So, in short, to understand a golfer’s angle of attack, you have to understand where the low point of a golfer’s downswing is, and which way the club is moving — either toward that low point, or away from it. You may be able look at one picture and make a guess, but there’s no way to definitively tell.